They say you learn from your mistakes and now that it’s midsummer in the veg garden I can clearly see where things have gone wrong! I started with a basic knowledge, having grown some fruit and herbs in the past, Stuart had done the same but we’d attempted nothing on this scale before. 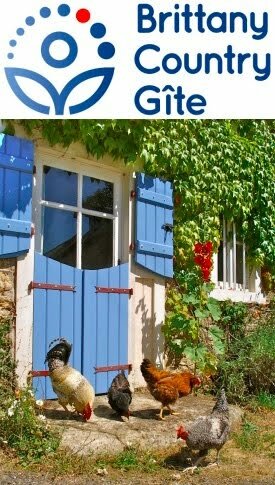 I used Joy Larkcoms excellent book Creative Vegetable Gardening for inspiration (see also Grow Your Own Vegetables, also by Larkcom), which expands on the French potager system and is for those who want a garden that is beautiful as well as productive. Joy uses examples from past and present, Europe and America and shows gardens brimming with vegetables, fruit, herbs and flowers some magnificent and formal, others funky and creative. My taste tends towards the ‘creative and funky’ approach and wanted to have the brimming beds I had seen in the book. 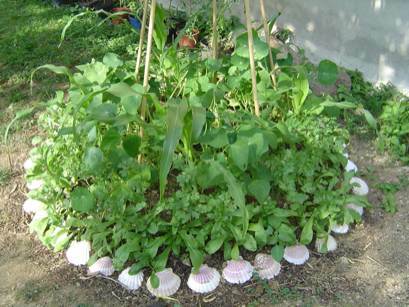 I experimented by filling beds with mixtures of plants, vegetables, herbs and flowers. Now, however, everything looks a little too funky and overcrowded and is not doing as well as I feel it should be. I planted marigolds around everything to attract hover flies and inter-planted French beans and sweet-corn with nasturtiums as I like the taste of the leaves and flowers in salad. Unfortunately the soil was so improved for the sweet-corn that the nasturtiums are refusing to flower (my mother always told me they prefer poor soil), the aubergines are being dwarfed by the cornflowers and the salad I planted beneath the sweet-corn is already lost in permanent shade! Another point of learning was the okra. The first batch of seed was, I know realise, planted too early, when it was still too cold. Once transplanted, seedlings went into the bed where they soon looked sickly and pale yellow and never recovered. So I pulled it out and started another batch in small pots in a cold frame which all came up. However I have now read that okra really don’t like being in pots and resent being moved so I will see how these ones fair but will start again next season a bit more prepared. Funky vegetables? I have heard of the funky chicken but never funky vegetables. Your blog is getting better and better. You should have a link to Amazon, especially when you quote or refer to books.